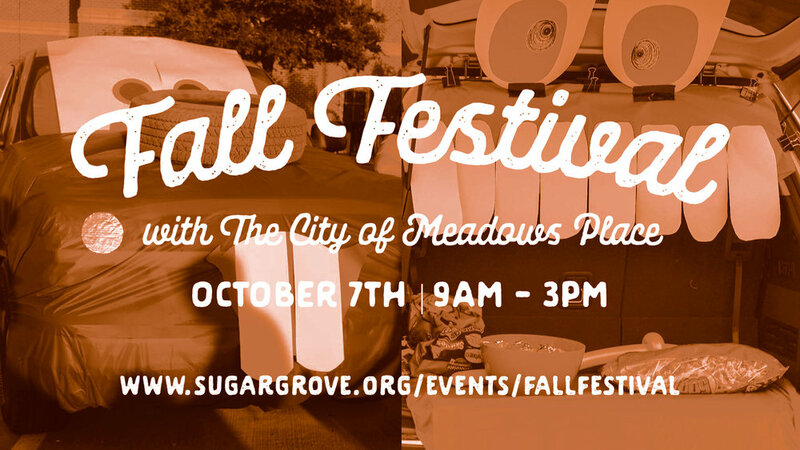 We're joining our city for the Meadows Place Hometown Fall Festival & Craft Fair. We will provide a Trunk or Treat experience for the community. There will be a variety of activities to include a craft fair, food trucks, pie bake off & pie eating contest, cake walk, 3 legged race, car bash, pumpkin patch, carnival games, music, monarch butterfly education & more. This is a community initiative supported by Meadows Place Home and Garden, Sugar Grove Church of Christ, MP Pony Baseball, Meadows Marlins, Community Garden, Youth Action Council, MP Economic Development and Monarch Gateway.